When you want words or images to line up, it's best to insert a table with columns and rows to make sure everything lines up prefectly. (Please do NOT use the space bar to line things up!) Here are the instructions on inserting a table. Click in the 'Content' text editing box and put your mouse cursor where you want to insert the table. Fill in each "cell" with your content. This could be text, images, a video, etc. 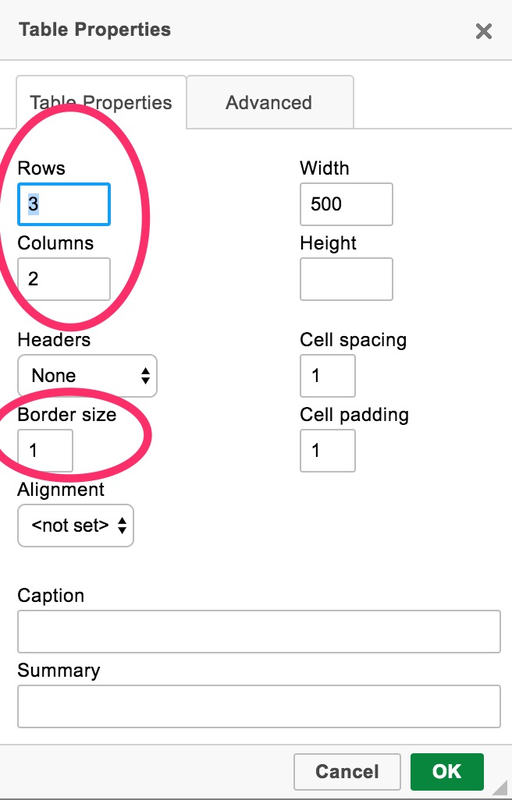 If you realize you need more rows/columns, simply right-click on the your table and you will get a menu (see below) where you can select Row or Column and you will get additional options to insert (or even delete) a row/column.